how to knit IS FOUND ONLINE AT THESE URLS BUT how to knit for money, NOBODY CAN MOTIVATE YOU IF YOU USE THAT STUFF CALLED MONEY for living well, SECRETS of knitting for cash, never be bored or POOR again. There's nothing cozier than sitting by the fire, watching TV and knitting a sweater that a client will pay you four hundred bucks for! THIS ONE WOULD DO THE JOB! CLICK ON THAT URL, it's a LIVE LINK. Imagine your few hrs a day of TELEVISION TIME making you 400$ is not only PRETTY GOOD but double down happy. The DIY movement is out there, in the person of THE KNITTING CIRCLE, ready to train you, here in OUR TOWN. The master KNITTERS want you to be like them & make stuff. The DIY movement is huge, and sometimes it's charming and sometimes it's annoying but it IS an anti-mass-production insurrection, a cuddly-soft revolt whose arsenal is crochet hooks, knitting needles yarn and carders, spinning wheels, SHEEP HERDING, or buying raw wool from farmers. Many yarn shops sell you dye. Imagine the designs, yarns, patterns and colors that are out there, and your PRIDE in ARTISTRY when you can read them, create ANY DESIGN! That's what Indian Squaws were feeling probably when they turned deer skin into soft buckskin, then sewed it into shirts for their hubbies, and beaded that shirt and fringed it. DIY is also a philosophic/economic statement, an anti-retail uprising whose strategy is Make, don't buy -- at least not new and never full-price. It is one more way to recycle, restore, rescue and renew -- and every sweater you knit from raw wool, carding, spinning yourself transformed into a soft warm cardigan, cleans up the Earth while telling major industries: I am creative. I rock! And telling our boyfriends, "I'm damn handy, kiddo, marry me!" A flood of books, many of them spawned by blogs, like AMY SINGER's, called KNITTY, takes up that chorus. In Anticraft: Knitting, Beading and Stitching for the Slightly Sinister (North Light, 2007), Rene Rigdon and Zabet Stewart declare themselves "sick of homogenized culture, and these realizations have left holes in our hearts. We create to fill those holes, to be able to sleep at night knowing we've done something, even a small something, to confront the manufactured culture that is currently being churned out." In Lotta Prints: How to Print with Anything, from Potatoes to Linoleum (Chronicle, 2008), Lotta Jansdotter suggests chiseled turnips and carrots as well. In Creepy Cute Crochet (Quirk, 2008), Christen Haden promises: "You can teach yourself to crochet, often in as little as one day (it's true!)." In Alternation (North Light, 2007), Shannon Okey and Alexandra Underhill hail "enviro-chic." In Subversive Seamster (Taunton, 2007), Melissa Rannels and Hope Meng declare: "We derive the most fashionable satisfaction from knowing that we are reusing and recycling what already exists in this material world -- and looking damn good doing it!" You already know this, or you will: Crafting is back. 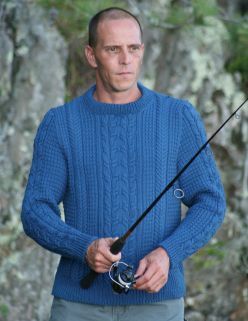 Imagine your hubby or son in THIS cabled bright BLUE SWEATER FROM PATTERNFISH.COM. Try to ignore the man's face. He is suffering from chronic lack of oxygen, heart valve problem I think. So, CLICK ON THIS: FROM KNITTY. 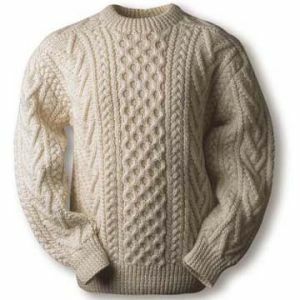 And survey the KNITTING PATTERNS from ICELAND for FISHERMAN CARDIGANS WOW. LEMME AT EM! KNITING CREATIONS LIKE THESE are more than artisanry or handicrafts. 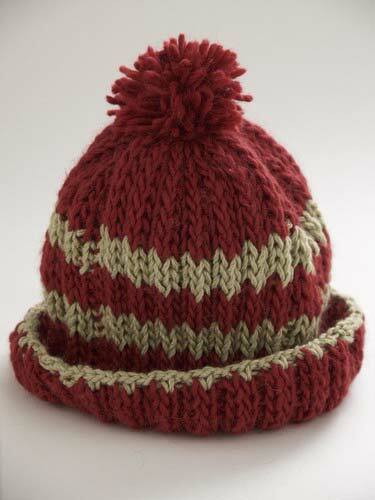 Hand knits provide HUGE WEALTH in these inflationary times. A cardigan like the one below is $400-600 U.S. CY. at a RETAIL shop. So it's not like the old days when men married women who knitted because the girls were admirable, and could 'bake a cherry pie just like her mother.' This wife can make 12,000$ a year! It isn't like in the tribal days when Indian bucks married squaws who could intricately bead /and /shell soft buckskin for them, although you can keep hubby warm with his sweater collection provide by you.. This is not crafting by girls to get a great rep and get married. This is crafting as a career. This is not crafting to kill time, though flying needles can kill it! This is crafting to pay for food during the coming recession. A handmade wool sweater is 400$ to $600 retail in big posh cities and when you can add this amount of cash to your family's FOOD money every week you turn out to be WONDER MOM! That's not money to laugh at. Of course on some level, great knitting skills ARE a way to claim identity, and also they ARE a way to impress beaux and save the world from the soulless junk of acrylic sweaters costing 50$ that will live in landfills for one thousand years as no worm would eat one. It is also a way to have a sweater that people turn around and stare at, then come over and say "WHERE DID YOU GET THAT? " And you hand them your KNITTING CARD! saying right under your name, "YOU DESIGN IT I can MAKE IT"
So if you deliver the goods, the fine art, clients will come; repeat customers are out there. This isn't crafting for small dollars. If you do a sweater a week, you can pay the house payment and buy the heat for the whole winter. So this skill would be a FEMININE ARTS resurgence with a vengeance when it comes to winter chill. Many who have no artform to put in the marketplace will find there's no cash for heating as the jobs went down with the Crash. Ergo, the art of knitting sweaters will provide. 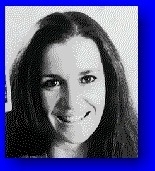 In 2003, Boston-area computer programmer Leah Kramer started Craftster.org based on a lifelong hobby that she hadn't realized many others shared until she started posting project ideas and pictures online. Almost entirely by word of mouth, the site quickly expanded to more than 100,000 members. Thousands more join every month. Other sites pepper the Internet, long-tailing the crafting subculture into subsubcultures: the neo-knitters, the book-cover refigurers, the sewing-machinists. And yes, this anti-industry intifada is now itself an industry, with its own superstores, TV shows, ad-laden Web sites, celebrities and books, because after all this is America. Still craftsterism is, at heart, all heart. It has to be. Originality is non-negotiable when anything is made by hand. In a consumer culture where even the so-called customized is mass-produced -- think ring tones, think M&Ms printed with your favorite photograph -- this is the revolutionary part. Human one-of-a-kindness. Even the same "project," completed by different crafters, yields different results. At craftsteramas like Boston's Bizarre Bazaar and San Francisco's new Renegade Craft Fair, whose premiere event drew bustling crowds this summer, the "projects" on show and on sale expose the hopes and dreams of an ever-increasing faction of the young and hip: their obsessions and their preoccupations. Making crafts takes precious time. What icons, which motifs, which messages are, to their makers, worth it? THE ANSWER: DESIGNY EVENING SWEATERS in SILKY, RARE YARNS. 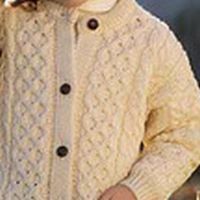 WARM, MERINO WOOL SWEATERS, CAR COATS, SOFT SCARVES, NOTHING ITCHY around the neck, warm MITTENS AND soft YARN HATS all are going to be NEEDED as the weather gets worse, Also at home garments that are soft and warm and contain no POLYESTER! (it makes rivers of sweat run down your chilly body. It doesn't breathe.) What is warm without poly? I don't know, cotton flannel maybe, but make it into an all over garment, you are going to sell them and make money. 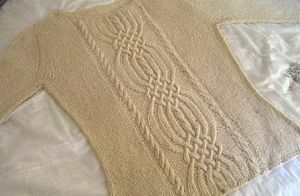 TO FIND FINE YARNS, GOOGLE IMAGES on search terms like "SILKY YARN". I found great BLOGS and YARN sites that way. These silky yarns are so good, they're like jewels. THE ONE THING EVERYBODY NEEDS is a warm YARN HAT, part wool, maybe a little angora in it to soften the stiffness of wool. These babies can run 50$ to 75$ in department stores. OUR HEADS get cold in winter, my head does, even in southern California!. Underprice your version, include a scarf if you want, but the hat is the necessary item. PUT YOUR OWN ad on ETSY.COM and you will sell out! SEE "HOW TO SELL MY STUFF ON THOSE MANY NEW SITES"
Study our pages, join us in the KNITTING circle Start your chapter. This coach has nothing to do with your chapter, though I know of honest agents you could use in every European city, being a member of an international yoga organization founded by Yogi Bhajan. Their yoga schools are in every capital of Europe, Asia, USA. They are vegans, pray daily, have relationship with Their Maker, and are better than just CraigListing your way around the world looking for sales agents in faraway cities. I did astrology for Yogi Bhajan for the 35 years until his death, so just mention that Anita Sands in Hollywood, Yogiji's stargazer, suggested you contact that person (choosing one in every city of the world,) to propose a 5% sales commission for each sweater line they place permanently in a boutique or dept store. Means the store must pay upon delivery of X amt of sweaters, no billing, cash on the barrelhead in two checks, 5% to the agent, and 95% in the name of the Sweater Co-op you create in your town. THERE are other spiritual organizations, planet wide. Any religion is going to give you a higher type than just cold calling salesmen. Your knitting circle will also be tied by bonds of affection and that creates honesty. Trust your bookkeeping to your own local chapter president. I can't figure out anything more certain but you may give these methods a try. <=====PORTAL TO 7,000 of the "OPULENT LIFE on a dime" ARTICLES, REPUBLISH FREE AT YOUR SITE & ATTRACT AD REVENUE FOREVER.